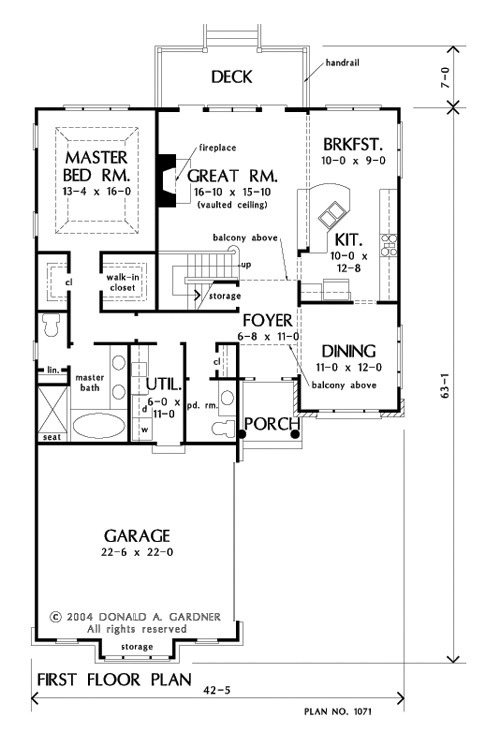 Room positioning helps define the floorplan. The sidelights and transom in the foyer combine with the dining room's windows to brighten the entrance, which flows into the common areas. 1st Floor: 1507 Sq. Ft.
2nd Floor: 523 Sq. Ft. 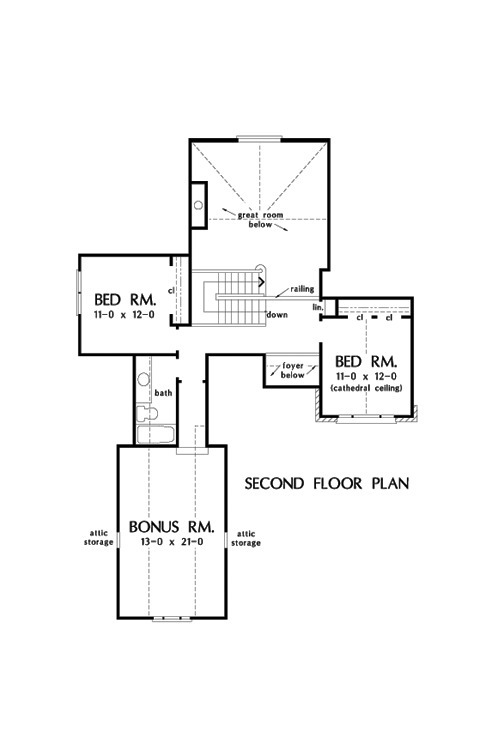 Bonus Room: 322 Sq. Ft.
House Dimensions: 42' 5" x 63' 2"
Great Room: 16' 10" x 15' 10"
Porch - Front : 5' 9" x 7' 0" x 10' 10"
Deck / Patio : 17' 6" x 7' 0" x 0' 0"
Storage (Other) (Sloped): 3' 0" x 3' 0" x 0' 0"
Foyer : 6' 8" x 11' 0" x 0' 0"
Great Room (Vaulted): 16' 10" x 15' 10" x 18' 0"
Bonus Room : 13' 0" x 21' 0" x 8' 11"
Garage : 22' 6" x 22' 0" x 0' 0"
Bedroom #3 (Cathedral): 11' 0" x 12' 0" x 14' 2"